On-line Moisture Measurement Tobacco Industry | Quality2Process B.V. 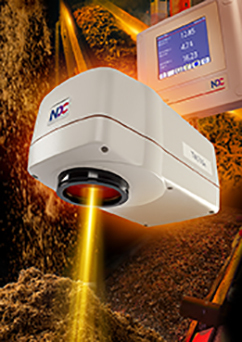 The NDC Measurement Solutions offer an unrivalled performance with high accuracy, repeatability and stability for the on-line measurement of moisture, nicotine, sugar or temperature and is customised for all tobacco types worldwide. It is applicable at all stages of leaf and primary processing. The on-line TM710e Single or Multi component NIR measurement system for continuous measurement of moisture, nicotine, sugar or temperature in Tobacco products. Users in the Tobacco Industry throughout the world control their processes with the TM710e. All tobacco types worldwide ( Virginia, Burley, Oriental and others). Applicable at all stages of leaf and primary processing.